Getting around in the city is a challenge any time of the year, but especially so during Back-To-School season. As Boston is a college town (with more than fifty in the metropolitan area! ), people from all over practically pour into town during late Summer. And these folks, plus the folks already living here, are all trying to get to wherever, some of them on bikes, some of them in a car. So in the spirit of let’s all not get run over and also let’s all get to where we want to go, we have put together a few pieces of gear to help folks keep their eyes on the road rather than on their GPS or smartphone. 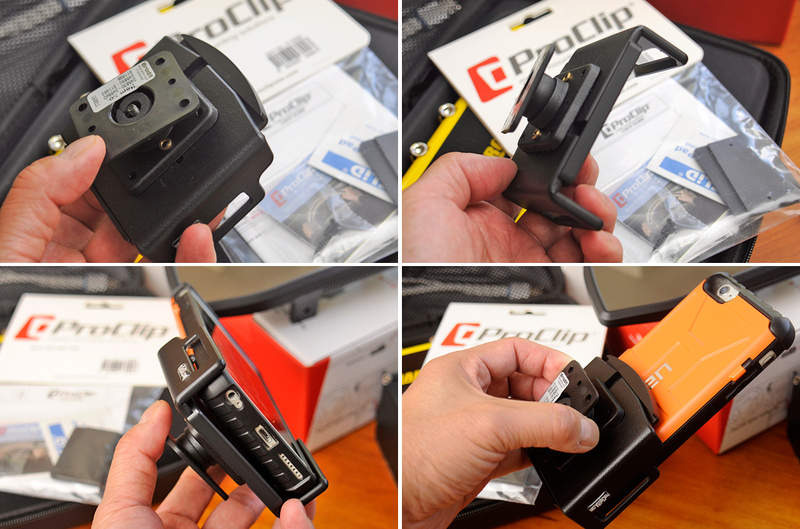 We had written about the ProClip mounts years ago and we still like it. 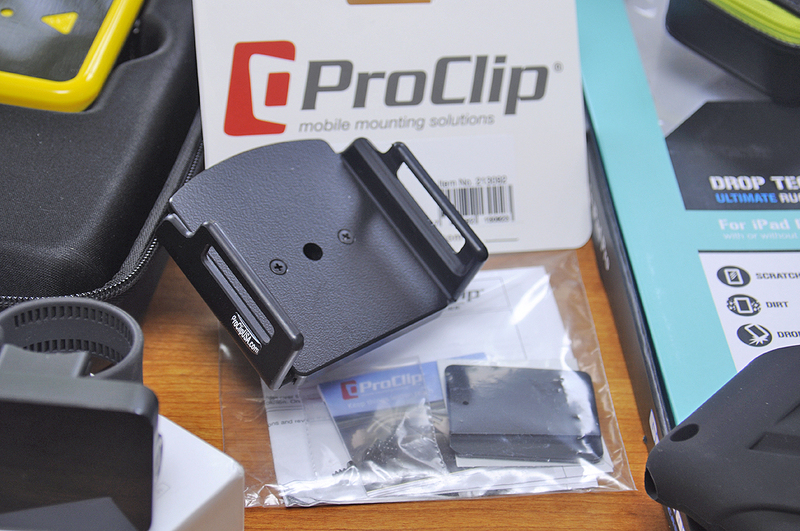 By keeping the grip and the mount separate, ProClip has created a versatile and adaptable solution. When you get a new device, just get a new grip and slip it into the already-installed mount. Genius!!! Finding a holder for a specific device (GPS, smartphone, etc) is simple, but finding one that will fit your device when it is housed in a case can be frustrating. ProClip has solved that problem elegantly with an elegant design… an adjustable grip. There is 14mm of slide to accommodate a wide range of protective enclosures. On the back is a 20º swivel for optimal angling. This very sturdy holder is a well-designed and executed solution for those looking for an in-car iPhone mount. 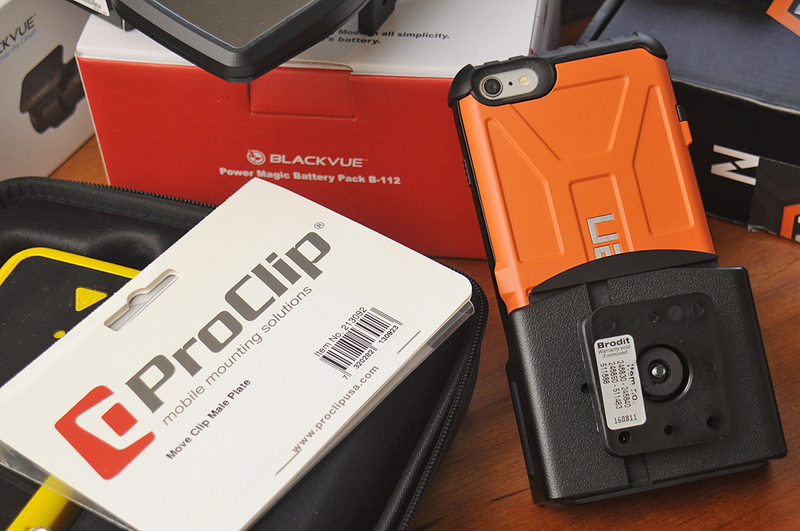 Shown below is the the ProClip fitted with an iPhone 6+ housed in a heavy-duty case. The Camile BikeCam is incredibly useful if you want to record your everyday rides in the city, not just your crazy weekend trail rides. 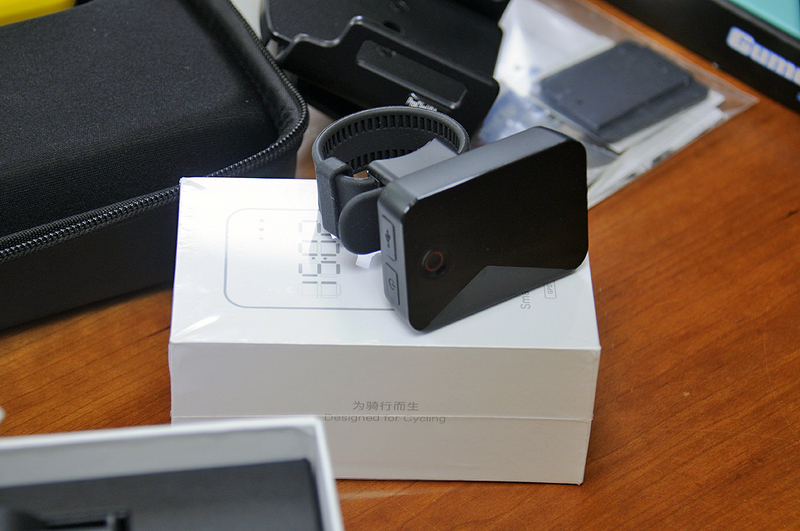 Camila camera supports 1080p and 720p recording, has a 140° wide-angled lens, and electronic image stabilization. The 1350mAh battery will enable 3 hours of continuous shooting. The unit also records GPS positioning, speed, altitude, and other data, all on the removable SD card. The DR650S-2CH is an update to the dual-channel (meaning: front and rear), feature-rich (Wi-Fi, GPS, impact and motion detection) DR550 dashcam we had installed last year. This unit combines the features of the DR550 with Cloud connectivity. Like our unit, the DR650S-2CH sits under the windshield, behind the rearview mirror, and does not obstruct the driver’s vision. The physical dimensions of the DR650S and our current DR550 appears to be the same. We will swap out our current unit for this cloud-connected version in the Fall and report back on how it all works. Look for the update before the end of the year. 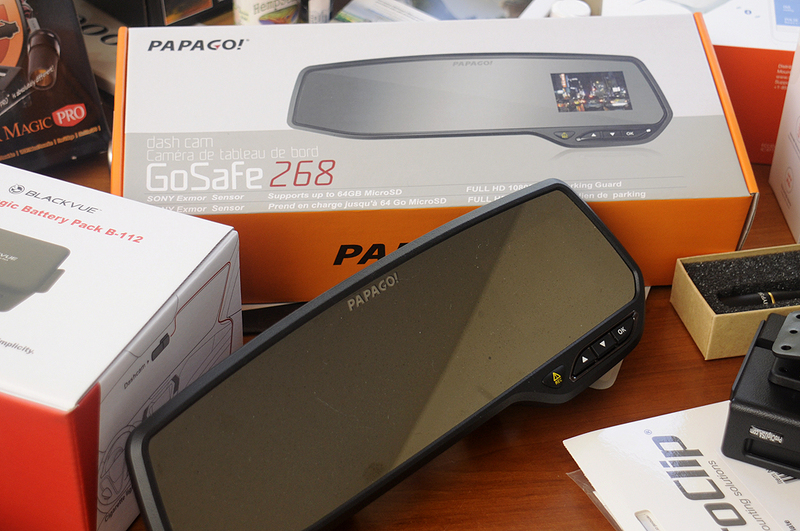 Not all dashcams have to be attached to the windshield. Papago! has integrated one into a wide-angle rear view mirror. The unit is designed to clip over the car’s current mirror, so installation is a cinch. Incorporated into the mirror is a live-view 2.7″ color LCD and all of the buttons needed to control the camera. It is a very easy DIY and an ingenious approach to adding a very useful feature for driving today. One of the cool things about dashcams is they can be used to monitor a vehicle when you are away. However, if you are gone too long (ex: leaving the car at the airport for days), a dashcam can potentially drain the car’s battery. To prevent that from happening, there are devices to monitor and intervene before things get out of hand. 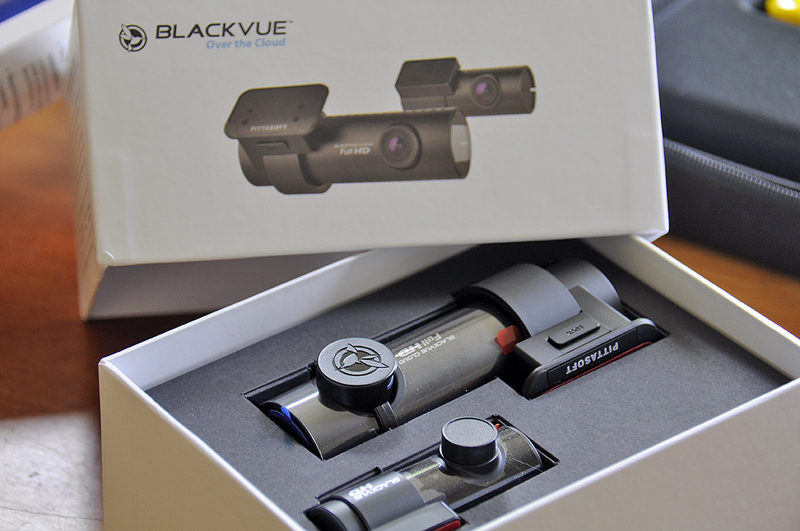 The two we have are from BlackVue. 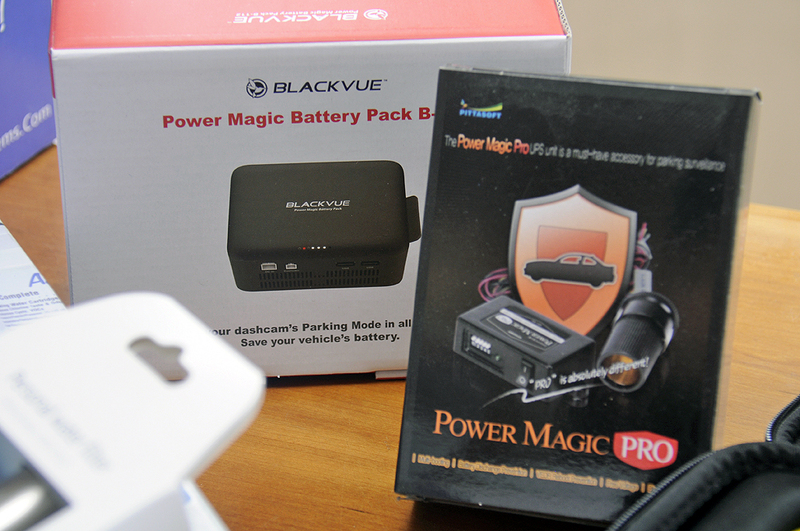 The PowerMagic B-112 Battery Pack is a simple solution to the problem of powering the BlackVue dashcam without worrying about draining the car’s battery. The battery pack can be wired to recharge when the car is running and will provide up to 12 hours of juice to the dashcam when in “park mode.” BTW, the B-112 has two USB ports and enough power to charge most electronic accessories (phones, tablets, etc). Super convenient!!! 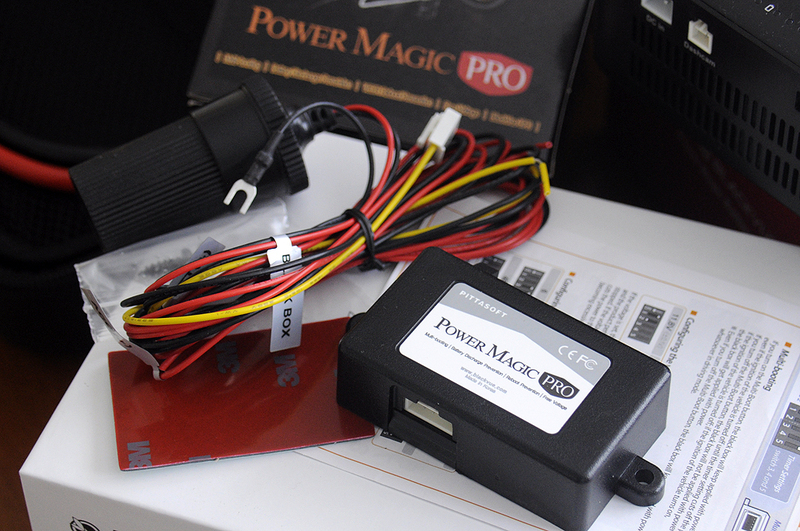 For those who like things “hardwired” in their vehicles, PowerMagic Pro is the way to go. This gadget powers the BlackVue dashcam but also constantly monitors the car’s battery power level. 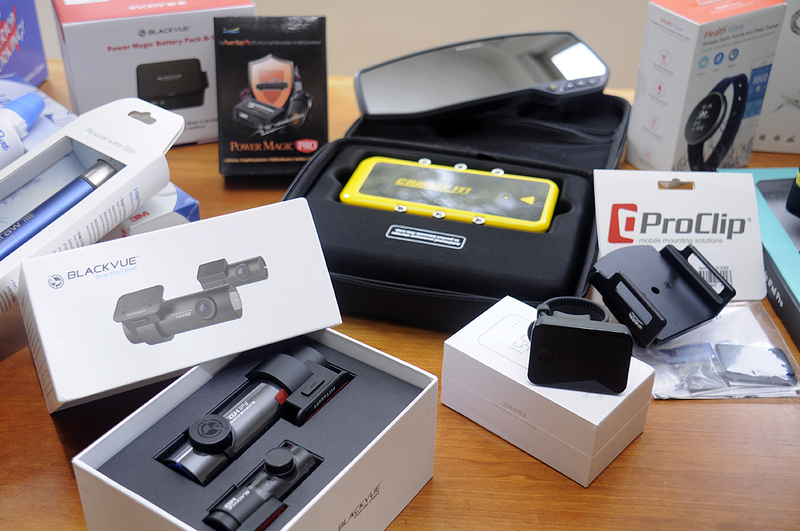 Should the battery ever discharge to a level where starting the car might be problematic, the PowerMagic Pro will automatically cut off juice to the dashcam. No worries! There are a lot of portable lithium ion “power pacs” out there that claim they can jump-start a car. After looking at a few of them, however, the only one we are confident about is the Clore ChargeIT! The reason is that Clore Automotive knows its stuff when it comes to jump-starters. Clore Automotive equipment is what the tow truck guys bring with them when they go out on a “rescue.” Emergency gear needs to work when you need it. Don’t mess around. We have had the Clore ChargeIT! power pack for almost a year now, but never needed it to jump-start the car. However, we have used it plenty for charging our gadgets. 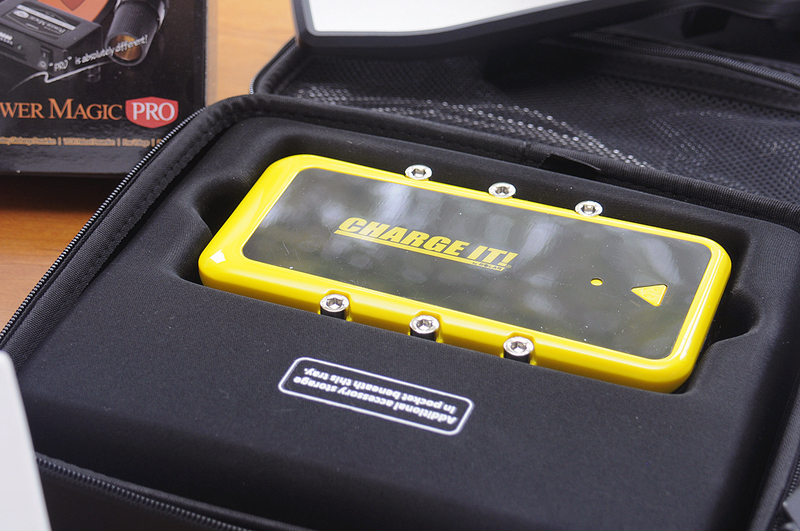 It is an excellent portable power source, and it is nice to know we won’t be stranded because of a dead car battery—as long as we remember to “top off” the ChargeIT! every three months or so.